They have the villa stocked with food so you don’t have to shop & you just pay for what you use. Very nice staff. They arranged some great tours for us—Birdman George and the Anatitaki Cave. Jackie was a wonderful host and the owners were quite accommodating. 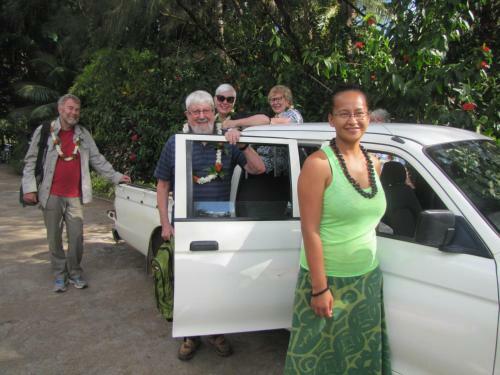 Our pick up ride took us on a short island tour before going to the lodge (bungalow). -- Optional dinner on Saturday night was very good and it included dessert. Warning: On Sundays there is no service to your room or optional dinner. -- On Sunday at 1 pm we went on the Birdman tour with George that included a dinner at the beach, afterwards. It was a very good chicken dinner served on big tropical leaves and another table with fruits. -- Note: It did not include utensils, so bring a towel to clean your hands off. Very different and enjoyable! Jackie and Rodger were wonderful. We felt like family by the time we left. Beautiful place to stay and experience Atiu. Would highly recommend. The grounds were breathtaking and the bungalows were charming and comfortable. The manager, Jackie, was absolutely fantastic. She was extremely knowledgeable and helpful. The owner was likewise great and made our stay truly enjoyable. Dinners were excellent, well prepared and plentiful. The in-suite refrigerator was well stocked and an excellent idea as the property is somewhat removed from the nearest store. Setting is incredible. If you’re into 5 star glitz and glamour this will be a stretch. I’d you’re into great service, comfortable living and great people Atui villas will check all those boxes. Highly recommend this place. Jackey was very helpful and friendly. included in the price of the airport pickup is a little tour of the little town. The room was very pretty, but basic. How I wished there were screen doors. 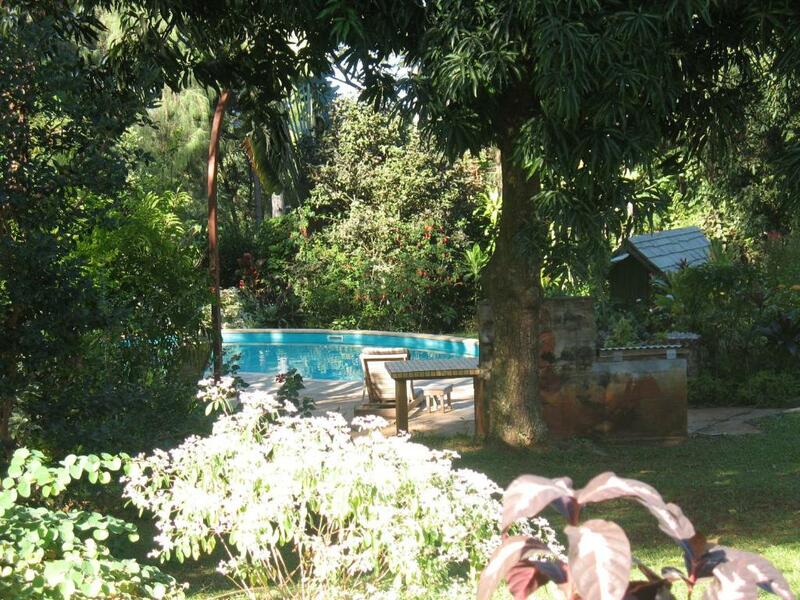 I hated having to shut out the sounds of nature just to keep out the darn mosquitoes.The pool and gardens very pretty. The island is magical to cycle a bike around, and there are plenty of pretty beaches to enjoy, almost always all to yourself. the property is well located; the manager is very kind and helpful. 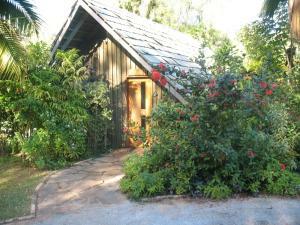 Lock in a great price for Atiu Villas – rated 9.1 by recent guests! Atiu Villas This rating is a reflection of how the property compares to the industry standard when it comes to price, facilities and services available. It's based on a self-evaluation by the property. Use this rating to help choose your stay! 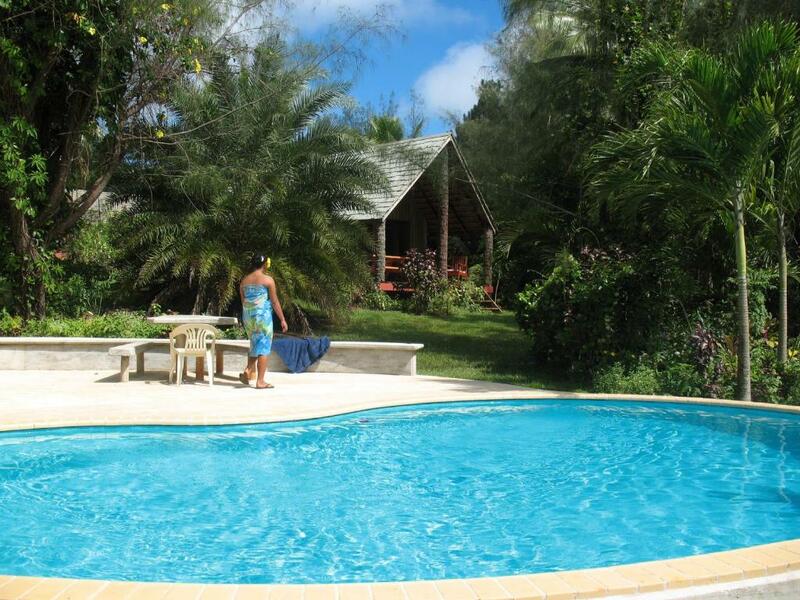 Featuring a swimming pool, a restaurant and a bar, Atiu Villas are located on Atiu Island. Each of the self-contained villas is surrounded by tropical gardens. Guests also enjoy a tennis court and free use of snorkeling equipment. 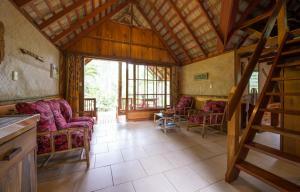 Atiu Island Villas are just 5 minutes’ drive from Matai Beach. Enua Airport is 15 minutes’ drive away. Built using local native wood, the chalet-style villas features a kitchen with a stove, oven and refrigerator. All offer a fully stocked food cupboard with bread, eggs, cheese, canned goods and more. Guests enjoy 30 MB of free Wi-Fi (for 1 device) each day. The tour desk books caving, hiking and cultural tours. Bicycle, motor bike and 4WD hire is also available. The restaurant serves dinner each night and offers a large communal dining area. The bar offers a selection of beer and wine. 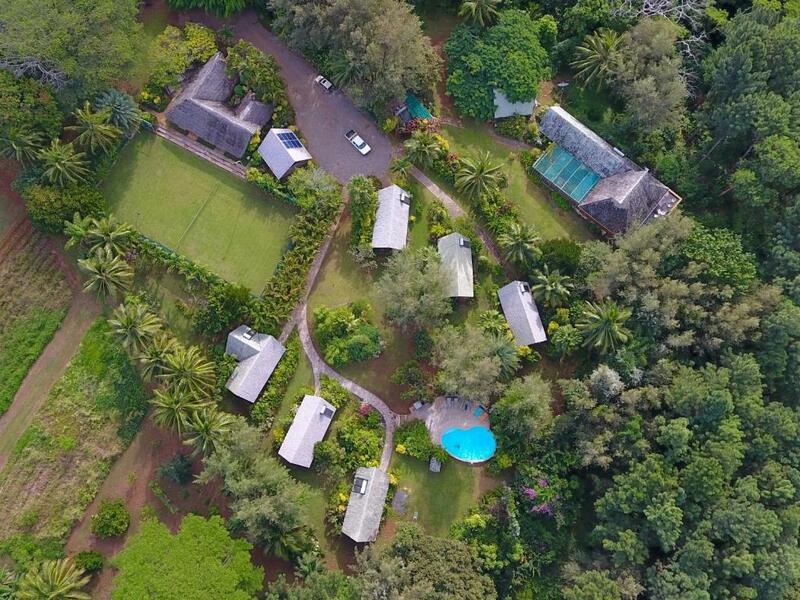 This property also has one of the top-rated locations in Atiu! Guests are happier about it compared to other properties in the area. This property is also rated for the best value in Atiu! Guests are getting more for their money when compared to other properties in this city. When would you like to stay at Atiu Villas? This villa offers a patio with outdoor furniture and partial ocean views. It features a fully stocked food cupboard with bread, eggs, cheese, canned goods and more. The bathroom offers a shower and a hairdryer is available upon request. 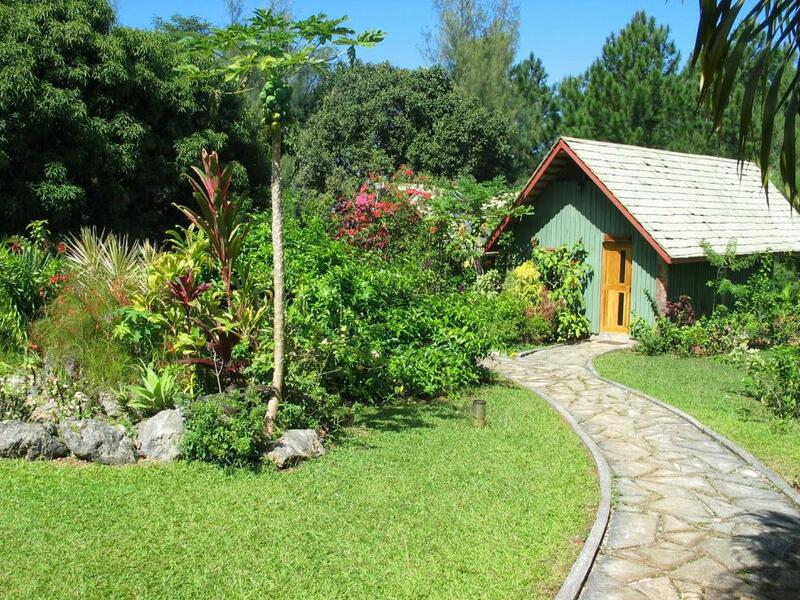 This villa offers a patio with outdoor furniture, a loft seating area, a stove and a refrigerator. It features a fully stocked food cupboard with bread, eggs, cheese, canned goods and more. The bathroom offers a shower and a hairdryer is available upon request. Maximum occupancy is 5 (see Hotel Policies). Forget the concrete and the smooth, straight, flat, sterile walls of a modern hotel. Atiu Villas is different. We place you in an exquisite tropical garden with swimming pool, tennis court, wood fired BBQ and in separated villas that feature polished native timbers and the surrounding outdoors. Provided in the villas are almost all the materials you need to make your breakfasts, lunches and dinners. It is a home away from home. Join with us in a hosted evening meal in our restaurant and bar where you dine with fellow guests on a big table and plan the next days tours, activities and events. There is plenty to do and see, guided or on your own. We help make your Atiu Island holiday as exciting, adventurous or as relaxed as you want. House Rules Atiu Villas takes special requests – add in the next step! All children under 12 years are charged NZD 10 per person per night for extra beds. Check (domestic only) Atiu Villas accepts these cards and reserves the right to temporarily hold an amount prior to arrival. Atiu Villas accepts these cards and reserves the right to temporarily hold an amount prior to arrival. Transfers are available to and from Enua Airport. These are charged at NZD 12 per person, per way. Children under 12 years old receive a 50% discount. Please inform Atiu Villas in advance if you want to use this service, using the contact details found on the booking confirmation. Please let Atiu Villas know your expected arrival time in advance. You can use the Special Requests box when booking, or contact the property using the contact details found on the booking confirmation. Please note that Atiu Villas does not accept payments with American Express credit cards. Please inform Atiu Villas of your expected arrival time in advance. You can use the Special Requests box when booking, or contact the property directly using the contact details in your confirmation. Be sure to bring insect repellent! Jackey was excellent and a fantastic hostess. We loved our stay and will definitely go back. The staff were lovey and the meal we had at the restaurant was amazing. Because it was so hot the swimming pool was a bonus. The people were so friendly and we loved the quiet and relaxed lifestyle. Loved the pool and bbq area. The staff was very great. Jacky is best! this place, not only the hotel but also the island, offers the rare opportunity for a real getaway. don’t expect an all inclusive resort stay with cocktails served to your hotel pool (eventhough I bet they would do that for you). you will find yourself on an extremely remote island in a hotel that offers you an own bungalow with bath (hot water), kitchen (fridge filled with many things available in store), bed (with mosquitonet) and a small private terrace in the jungle. you can choose to have a meal cooked for you or to cook for yourself. they rent motorbikes for 25$/day so you can discover countless lonely beaches all around the island! there is a pool and even a tennis court to use! if you are a little adventurous, expect maximum freedom. jungle, shore, ocean, all there for you to discover by yourself! Very helpful staff. One picked us up on the way home one night when our headlight on the scooter was out, and another picked us up while we were walking back in the rain. All questions were answered right away. Property was beautiful and everyone there was very friendly. Each villa is really private. The grounds and gardens are beautiful. The hosts are super friendly and helpful. No free breakfast and items to cook were very expensive. -- Examples: eggs were $1 each, frozen bread was $10, stick of butter $5, piece of cheese $9, and a can of condensed soup for lunch was $3.60. Weather was too cold to swim - better to go after September. Round trip airport transportation was $60. 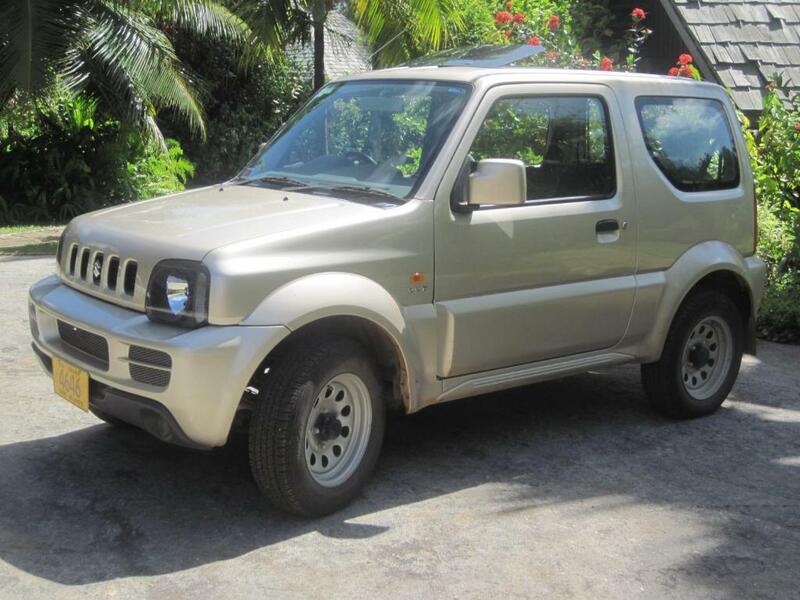 -- Best to rent a car or cycle, since you are isolated from everything. --- After arriving at our bungalow after 12 noon on Saturday we had to cook lunch for ourselves before going on the 2pm Cave Tour with Ben. -- I do not recommend the cave tour if you have any walking or balance problems since it is a very long walk over very rough stones, both ways. Even with 2 walking sticks it is very challenging and slow going. Very friendly staff and excellent food. You did well Jackie.